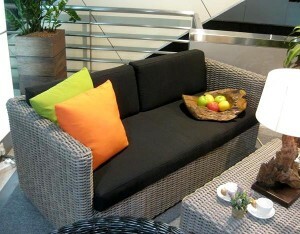 The Pacific Sofa sets itself part with its thick round core weave, giving off a rustic feel to any outdoor space. This outdoor seating comes with comfortable seat and back cushions. Prepare to entertain your guests in style with the Pacific Sofa Set!